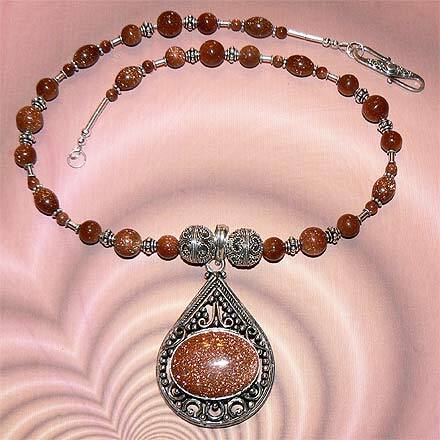 Sterling Silver Goldstone Necklace. See Closeup. 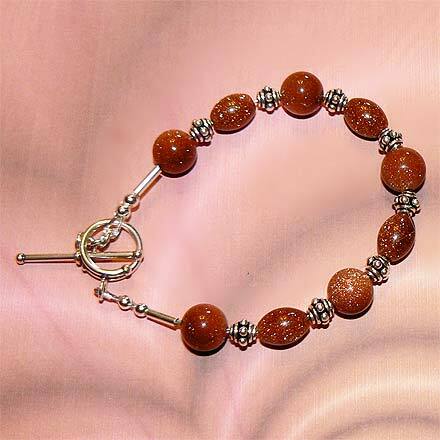 So far Goldstone is the only human-made "stone" that I offer, but it is so amazing. 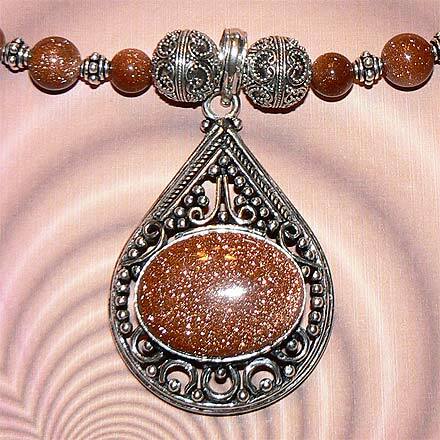 In rock and mineral shops you will see Goldstone offered alongside all the other nature-made semi-precious stones. What makes it so beautiful is the tiny specks of copper suspended in the glass reflecting light at every angle. Goldstone is also known as "Sun Sitara." This necklace, with the ornate pendant and beads, is to die for.